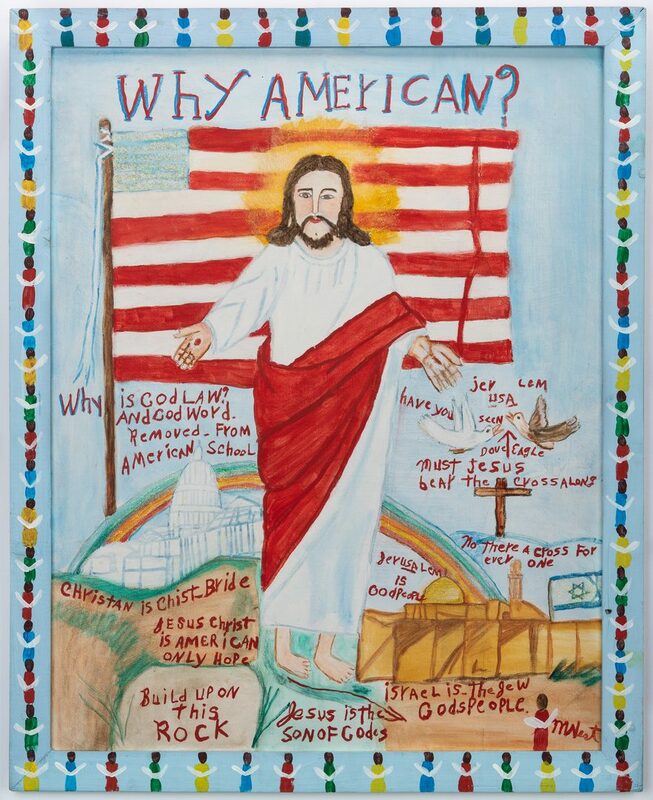 Lot 325: Myrtice West Folk Art Painting, Why American? 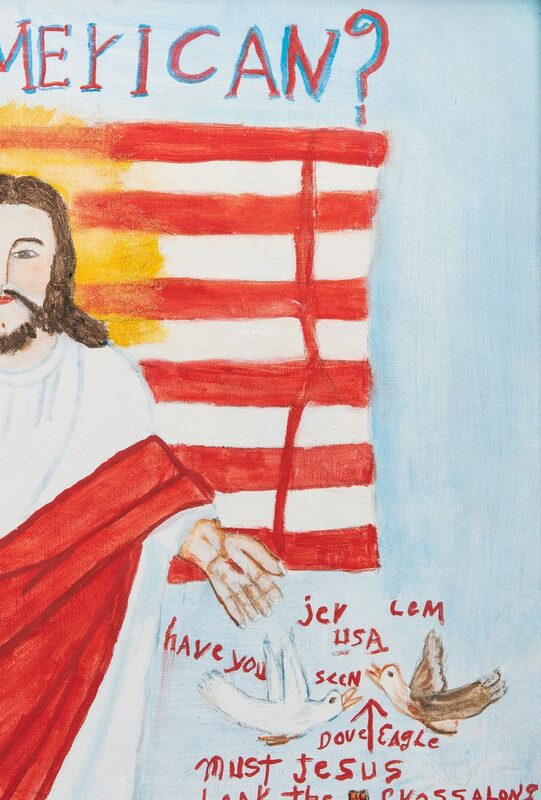 You are here: Home >> Fall Discovery Auction - October 6, 2018 >> Lot 325: Myrtice West Folk Art Painting, Why American? 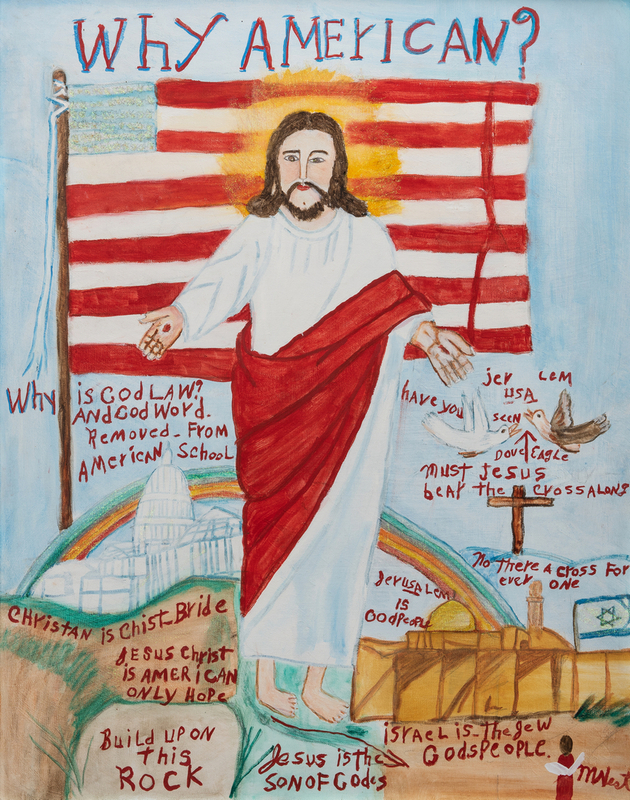 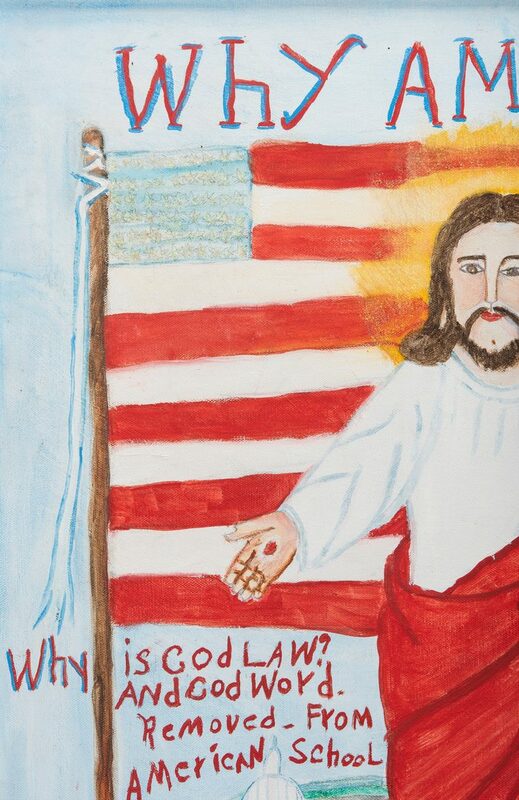 Myrtice West (Alabama, 1923-2010) folk art oil on canvas painting titled "Why American?" 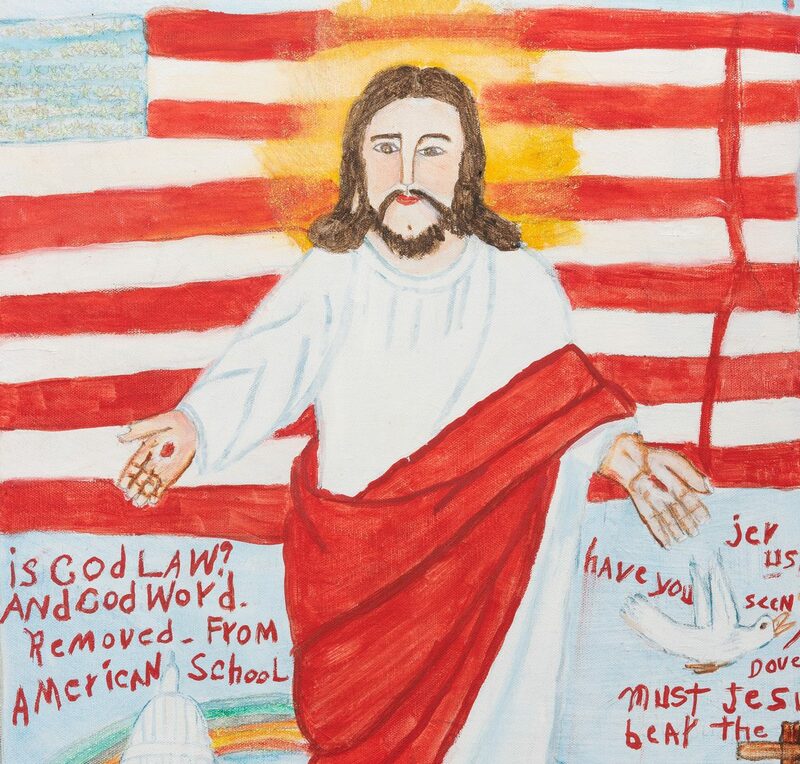 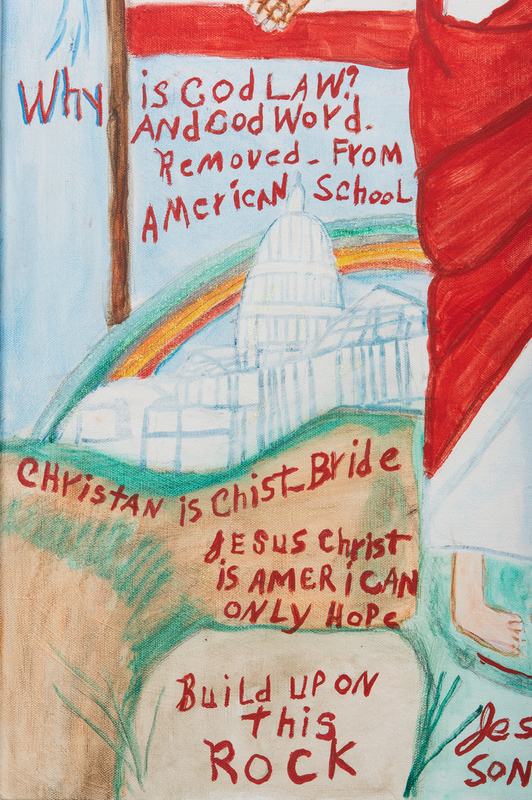 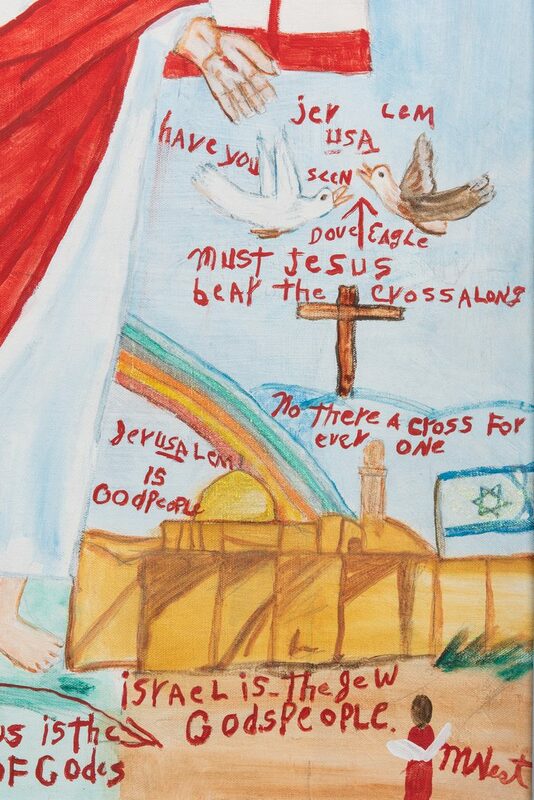 depicting a crucified Christ standing against an American flag backdrop with various biblical messages throughout. 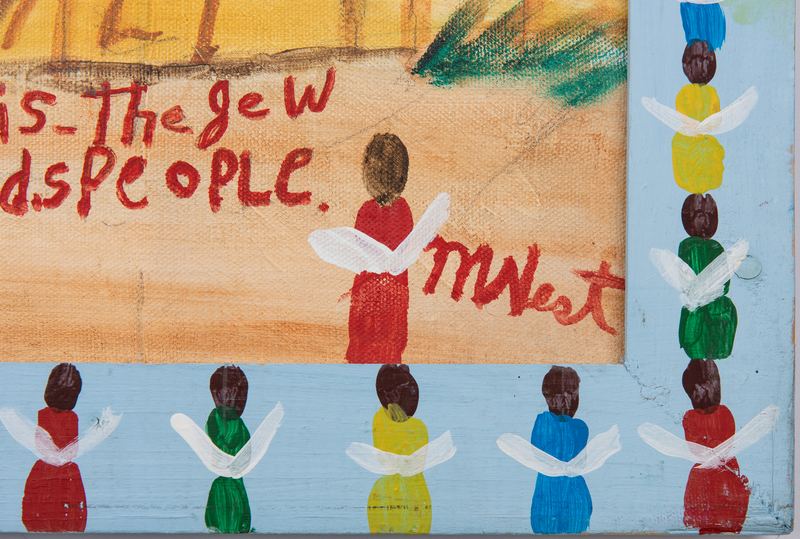 Signed lower right "MWest" and housed in a blue painted wood frame with painted multi-color angel border. 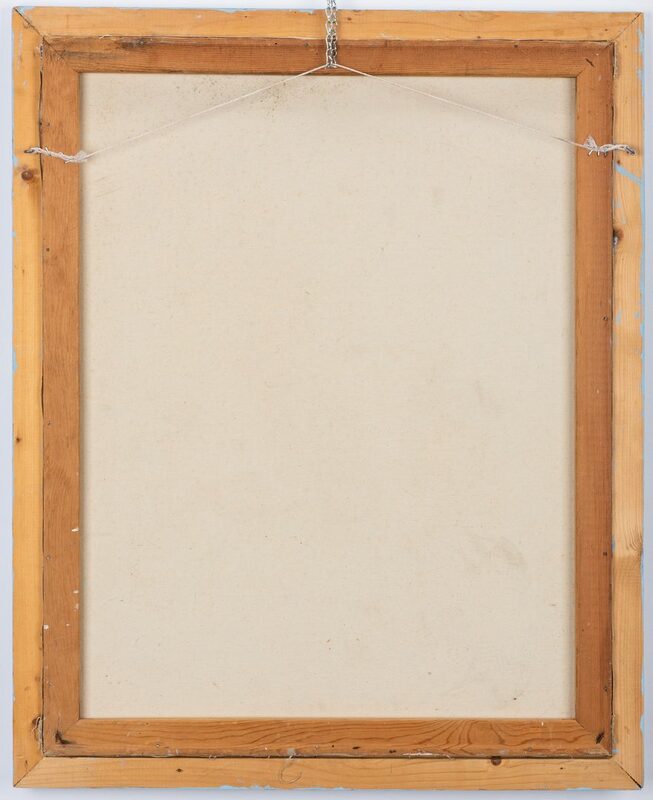 Sight – 29 1/4" H x 23" W. Framed – 33" H x 26 1/2" W. CONDITION: Overall very good condition.